This plugin will add a tab on the user community builder profile that will list their ads.Please note that this plugin isn't a joomla plugin but a Community Builder plugin. 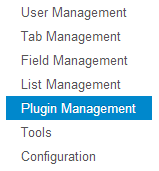 In order to install this plugin, click on the 'Plugin Management' link on the Community Builder Submenu. Now select the zip folder containing the communitybuilder_jomclassifieds_plugin.zip and click Upload File & Install. All you need to do to finish the installation is to publish the plugin. Here under Parameters, you can see ITEM ID field. You provide the Item id of your menu that should be selected when the ads clicked from Community builder. That's it. Save the form. You have successfully installed and configured Jomclassifieds plugin for Community Builder Component.